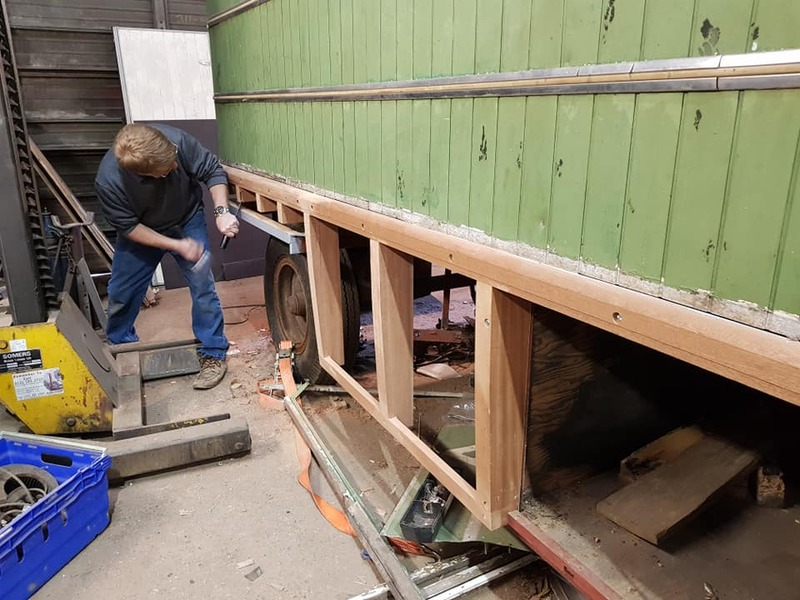 We’re making very good progress with the trailer restoration. It’s been six weeks since the last post and in that time much has been achieved. 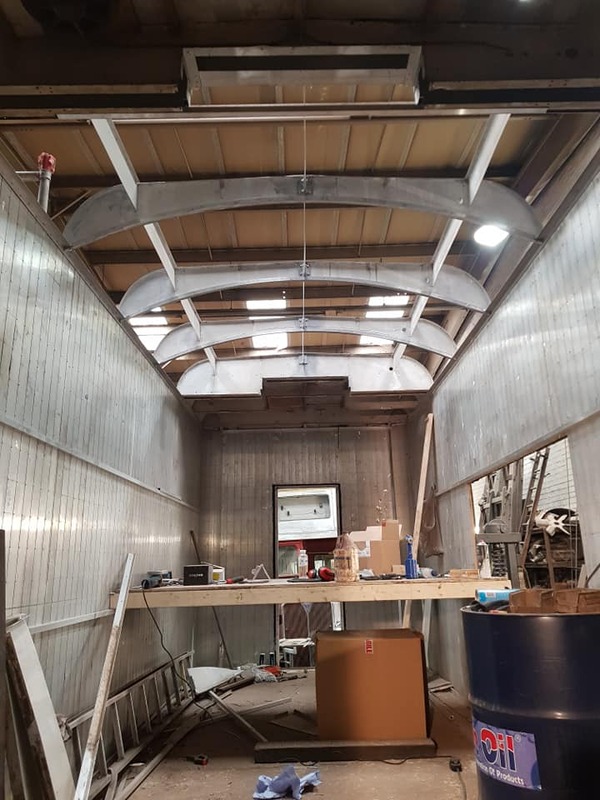 ‘Blossom’ from Ward Jones Commercials has been focused on the internal structure including the roof, walling and floor of the trailer. 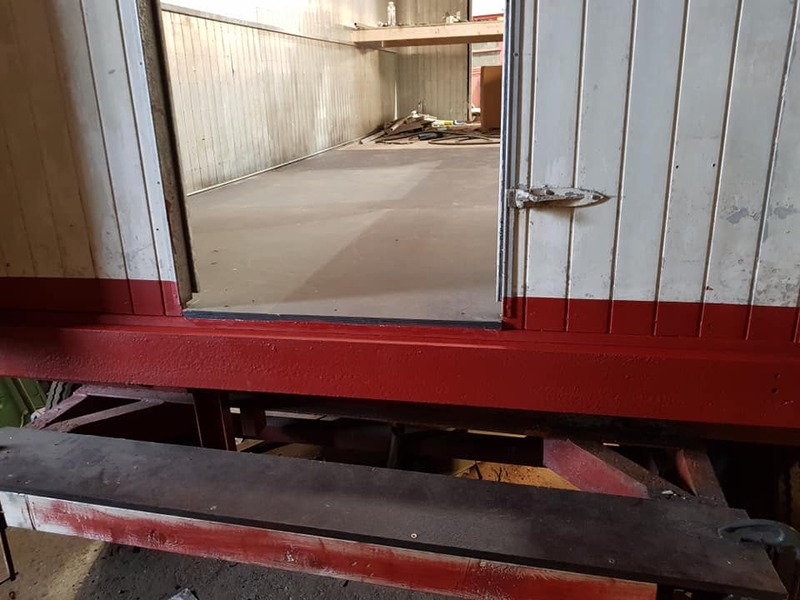 Meanwhile the carpenter Brian Francis has built the new windows (waiting to be fitted by Blossom), and then making amazing progress on the new skirting including locker doors. 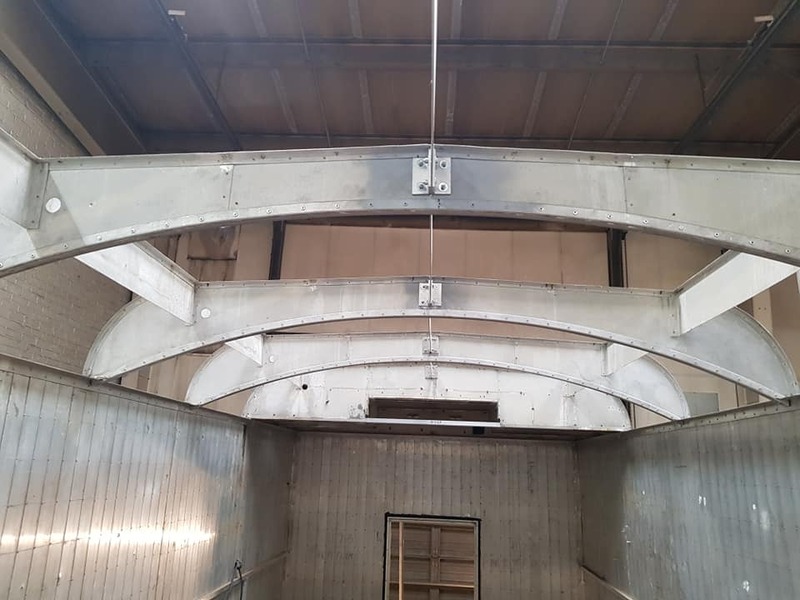 The roof supports have been curved with additional aluminium box tubing. The same same straight aluminium is being used to strengthen the walls. Blossom bending the aluminium strips to match the box tubes. 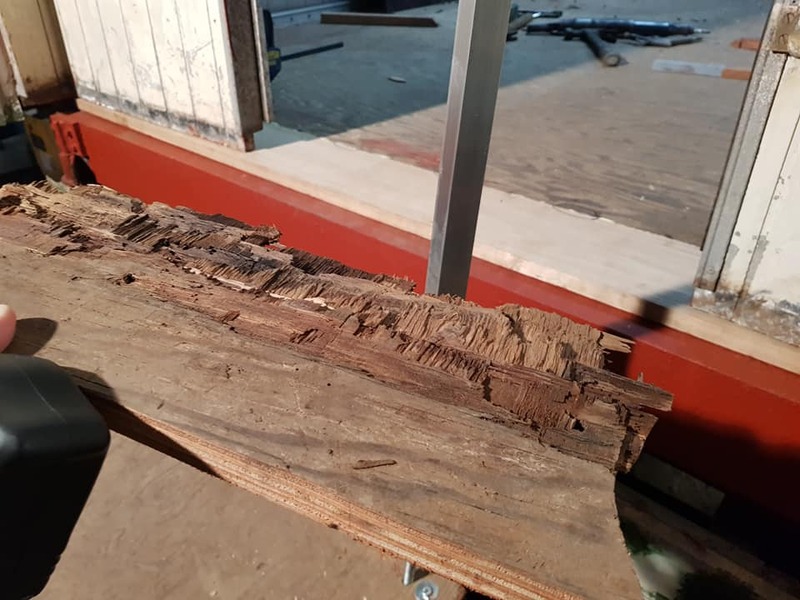 The old plywood entrance was rotten so this was removed and replaced with oak. After that, a new plywood flooring has been laid over the top and additional strengthening has been done to the joints with the wall. 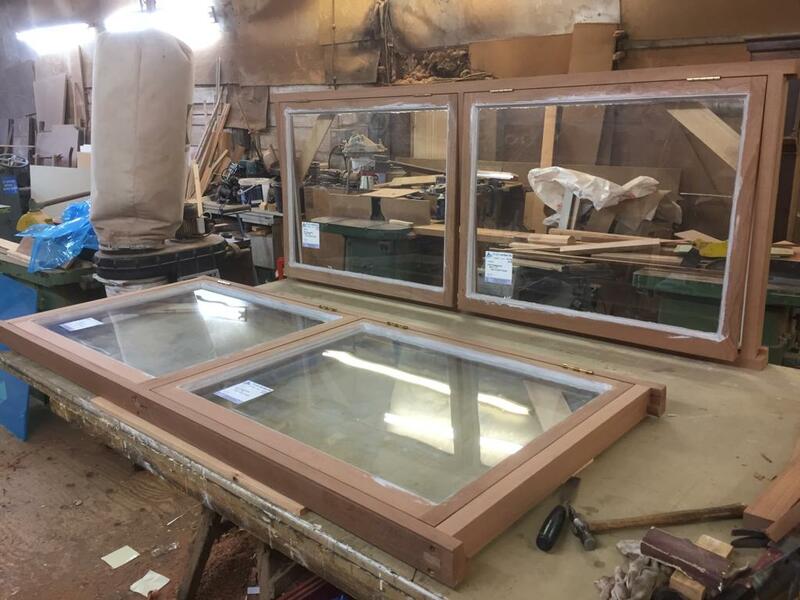 Brian has made the three new pairs of windows. All woodwork has been done using Sapele. A hard oaklike wood. 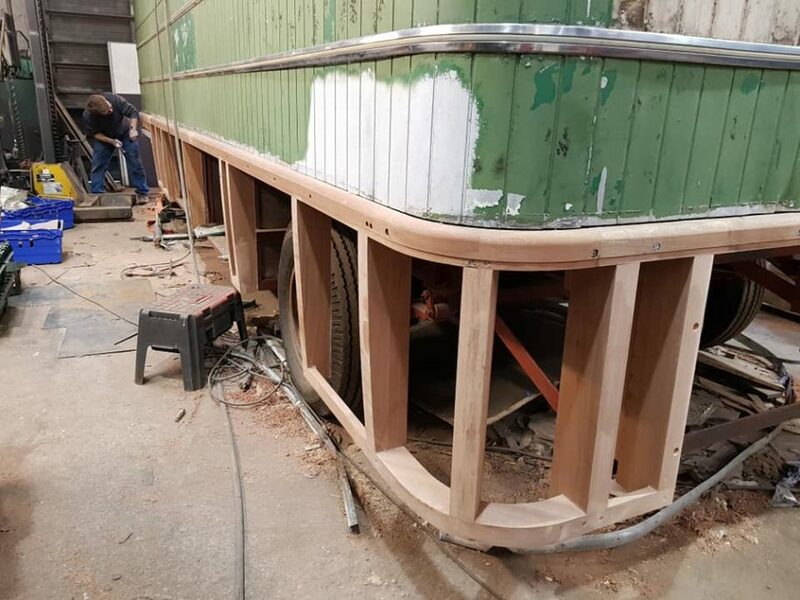 The skirting of the trailer is really taking shape. All this woodwork will eventually be clad in sheet aluminium. Brian has been able to achieve so much in the last few weeks. 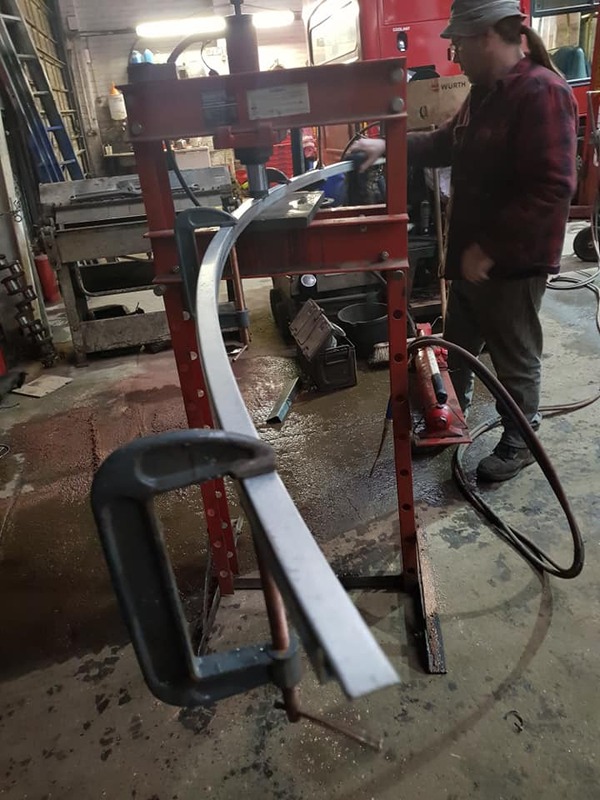 This small part will have a narrow piece of cladding, set above the pivoting front axle. 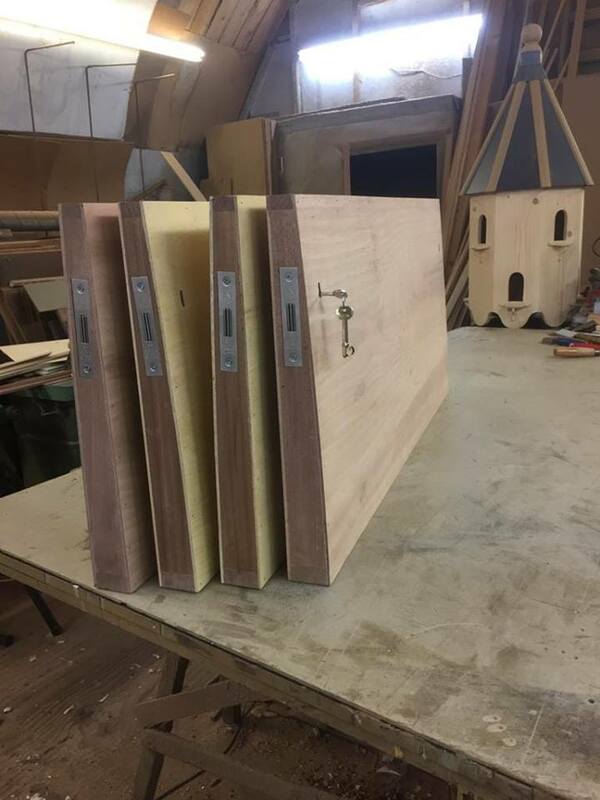 There will be nine locker doors in total, including one at the back. These four will cover the main storage units under the main body of the trailer. 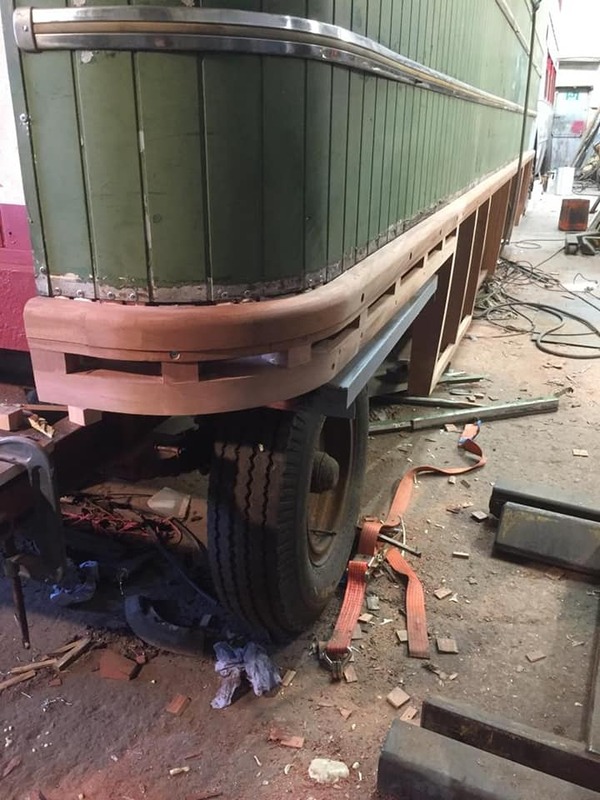 There will then be four more smaller locker doors covering the wheels – two of these have been completed.